A report commissioned by Deutsche Gesellschaft für Internationale Zusammenarbeit (September 2017) and prepared for the Department of Energy and Eskom has assessed the impact of variable generation technologies on system operation in South Africa until 2030. 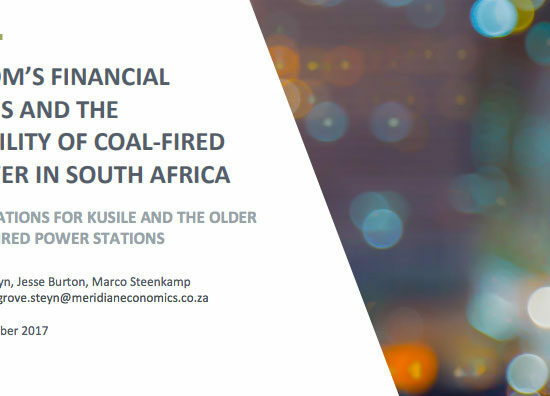 It discredits the notion that a high penetration of renewables will be difficult and costly to manage in the South African context, and that that high penetration of wind and solar PV can be handled by the system at moderate additional cost. 2017 marks the 20th edition of the Key World Energy Statistics (KWES) – the annual booklet of the IEA’s most used statistics. This milestone’s edition has been enriched with more information on energy efficiency and renewables, more geographic data and also more of the fundamental data required to fully understand energy security. Key World Energy Statistics contains timely, clearly presented data on the supply, transformation and consumption of all major energy sources for the main regions of the world, proving everyone with an interest in energy key statistics on more than 150 countries and regions including energy indicators, energy balances, prices, RDD and CO2 emissions as well as energy forecasts. Recommended Code of Conduct for Wind Energy Development.